I’m not as proficient of a sewer as I would like to be, but I got a little bit more practice in this week! 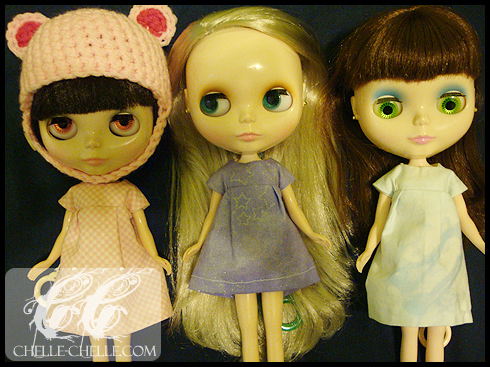 I made this trio of dresses over the course of maybe five days. Day 1 was cutting and getting all the ends fray checked. Day 2 and 3, I didn’t touch them (haha). Day 4 was sewing of the bodices and Day 5 was inverting the bodices, ironing them, ironing the parts I wanted to hem for the skirt and sewing it all together. I also still need to figure out the gathering stitch. Fabric: 100% cotton, pink and white gingham. 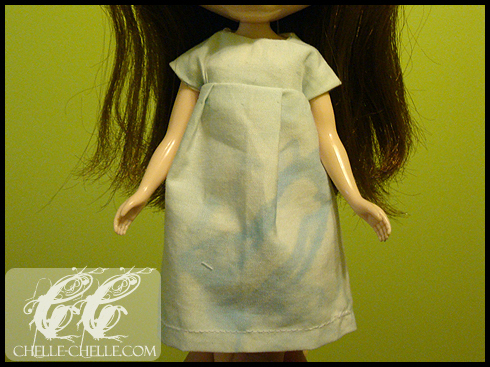 Fabric: 100% cotton, white and blue swirly pattern. Fabric: Unknown (been saving this remnant since forever), light purple with lightly sparkling silver stars. 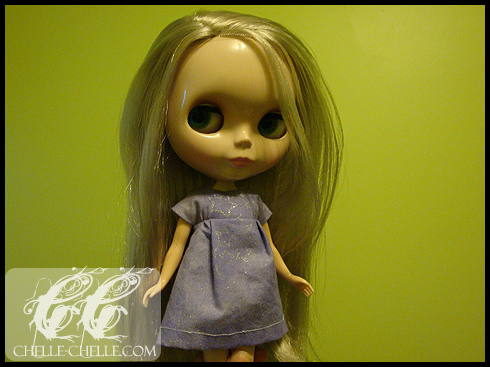 I did learn a lot more this time around than the last time I sewed a Blythe dress. I used a similar pattern, both the Empire and Party dresses come from Puchi Collective and are available for free (make sure you print them out correctly!). I plan on doing a few more empire waisted dresses and then try my hand at the Party Dress pattern again. Ironing after every single step helped a lot as I didn’t do that last time… I’ve gotten a new iron since then and I love it (it’s not a craft iron, so I do watch my fingers a lot to make sure I don’t accidentally burn myself – which I have done!). All of them close in the back with a rust-proof metal snap, I need to buy more as I only have maybe 4 pairs left in the small-enough size. Hi! Your dresses are so great! 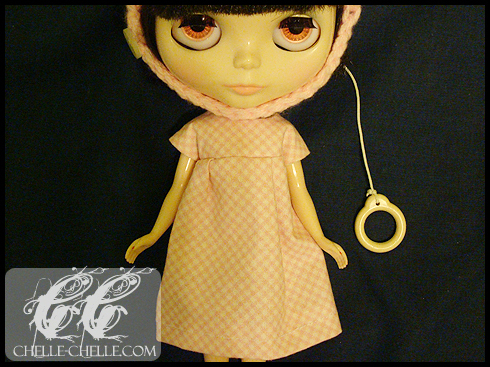 I would like to sew clothes for my blythes too. Cute blog! What’s up, I wish for to subscribe for this blog to get most up-to-date updates, thus where can i do it please help.